I'm just back from a workshop this morning where we were creating Imagine Design Create Stamped Traveler Notebooks. I met three lovely ladies, two if which hadn't crafted before. We also have some fabulous news and ask for your votes and support in the International Craft Awards 2017, where we have been nominated as 'Best local Independant srote in South West England', thank you so much. Hi there, Claire with you today. Have you ever thought about how good it would be to have super glittery (but non shed) die cut pieces? 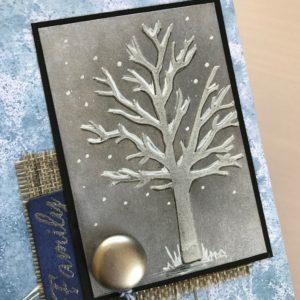 Well with that thought in mind I went about seeing how well Imagination Crafts Sparkle medium would work with some of my favourite dies. I was impressed, and loved the results. Good Morning, I have a mixed media piece to share with you today. I’ve created this on a journal page, but of course it can so easily be made on a card front perfect for Mothers Day, or even direct onto a canvas.